Nothing's nicer than new! You could be the first one to put nail holes in the walls! This rustic ranch design blends in perfectly with the Great Outdoors, and the amenity-rich layout molds the interior into the Great Indoors as well! Surrounded by mature pine and oak, and visited daily by the area's wildlife, this isn't so much an address change, as it is a lifestyle reformation. Lake Arrowhead access, 36-holes of championship golf, swimming pools, movie stars, and 1000's of acres of forest lands await. Exceptional features include a "northwoods" feel, open living area with a cathedral ceiling finished in knotty pine, skylight, gas fireplace, and rich-looking laminate flooring; custom hickory kitchen w/ granite tops and a spacious dining area; 8x24(!) 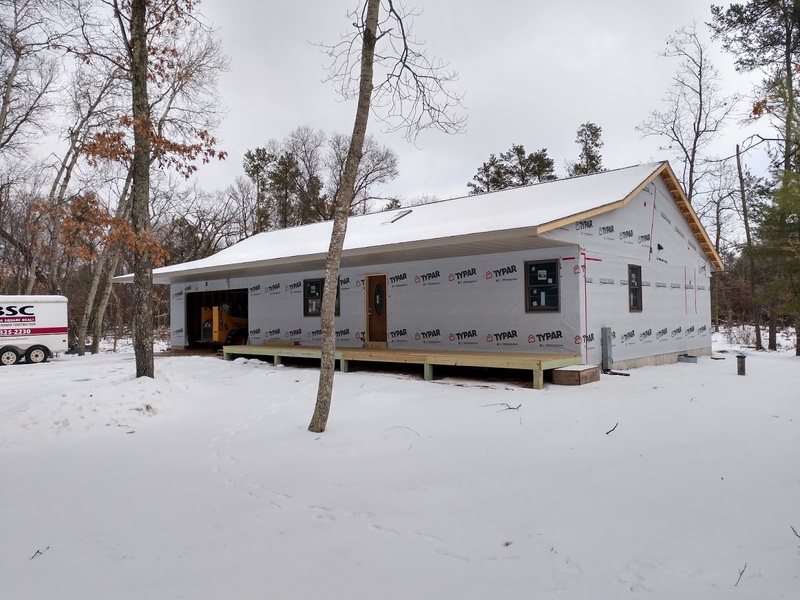 screen porch overlooking the wooded back yard; master suite with full bath; main-level laundry; mostly finished lower-level with family room, 3rd bedroom & full bath; 6x40 covered front porch with log railing; Smart Siding with 30 yr warranty; 2-car attached garage. Conveniently located between Lake Arrowhead and the Pines Course; and it's NEW! Completion set for April 1st. Lake Arrowhead ... Great Lake, Great Golf, and the always Great Outdoors! Water Supply: Private, 6-inch well. Location: Convenient Location near Lake Arrowhead, Golf Courses, Medical Center !